Please note: Effective September 17th 2018 our returns address has changed, so please ensure to send your returns package to the address stated below. 1. 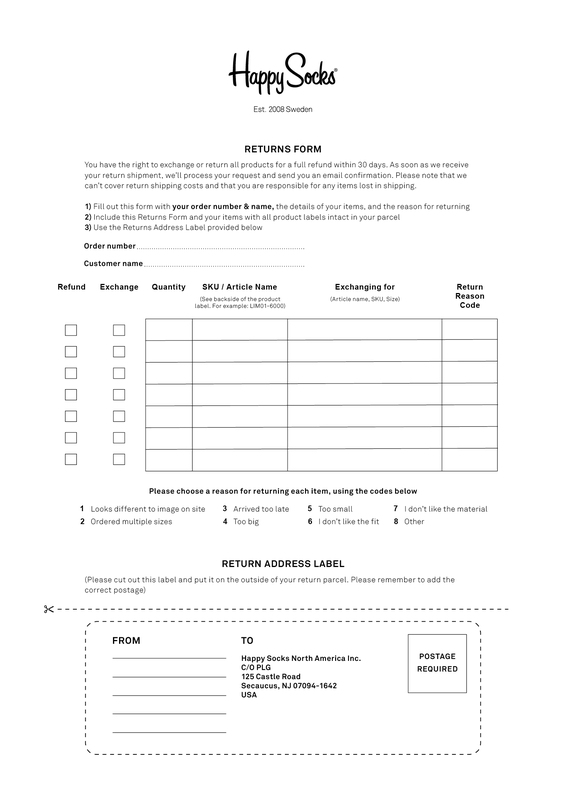 Please print and fill in this Returns Form and include it in your package. 2. Send your items to the address below, using the address label at the bottom of the Returns form. Happy Socks North America Inc. If you have any questions regarding the process, please contact us.